One thing I know for certain is that nobody faces scrutiny like a black woman. Or at least, that is what I have gained from personal experience. The scrutiny comes not just from non-black people. It also comes from within. Growing up, sometimes the harshest criticism came from women who looked just like me, who were expecting me to act or think or especially look a certain way. When I first tried to go “natural” a couple of years ago, it was other black women, random strangers I met on the street who had the most to say. Granted, the acceptance of “alternative” black hairstyles has progressed rapidly within the past few years, but back then, the situation felt like a shaming from those I expected to offer the most amount of support. Although media outlets claim millennials only get their news online (if they get it at all), I still tune-in when I am home and I can. And growing up, I watched newscasts with my mother after our favorite broadcast network television shows ended. We listened to the stories, but we also commented on the appearances of the black women on the screen. “What is that new hairstyle?” my aunt Sue used to ask to my mother about one of the women on the screen. Clothes were a constant source of amusement. We always commented when an anchor was “upgraded.” It wasn’t necessarily out of maliciousness. Rather, it was a moment of pride and accomplishment by proxy. Seeing faces that “looked” like us created a connection or bond that solidified our relationship to the newscasters. Our discussions were no different than our current discussions about Michelle Obama or even Olivia Pope on Scandal. In many ways, they were and are all one in the same: black, female, and in public. They were not just faces on the screen. For women like Robin Robinson (or Cheryl Burton or Micah Materre or Allison Payne), it was a confirmation that we exist and that those in power acknowledged it. In 2013, we still face those same tribulations of recognition and acceptance. Younger generations have thankfully been witness to a diverse array of newscasters. But in a city as hypersegregated as Chicago, our bevy of black female anchors felt like a fluke. Even now, I wait for the other shoe to drop. If broadcast news is intended to be as informational as possible to as many people as possible, the reality of a black woman presenting that information was and is not lost on me. The most vital information rested in her hands, in her trusted voice. I looked to her like another matriarchal figure to admire. I am 26 years old. 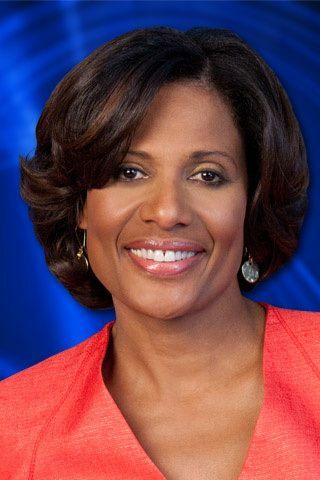 There has never been a time when Robin Robinson has not been a voice of reason for the Chicago masses. That accomplishment is worthy of praise.